$11.90 /SF (Add $1 per SF for less than full pallets) Contact us for pricing and quantity discounts. Local pickup and direct shipping anywhere in the USA. Bermuda Sunset Granite pavers have a thermaled top making a great patio or pool deck choice. The subtle coloring of this stone has a light gray and beige base, with a slight rose tone with purple and black flecks. 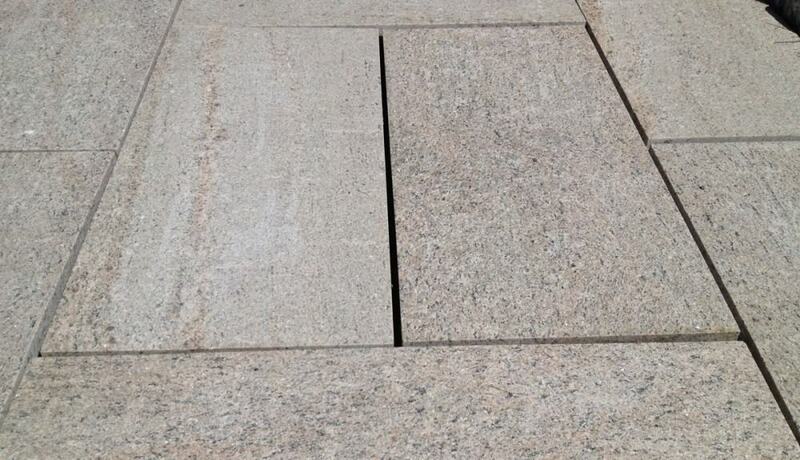 This Granite is available as a 1.25 inch thick pattern stock pavers as well as a 2″ tread. Bermuda Sunset Granite is perfect for use around pools, on patios, walkways, and outdoor living spaces.